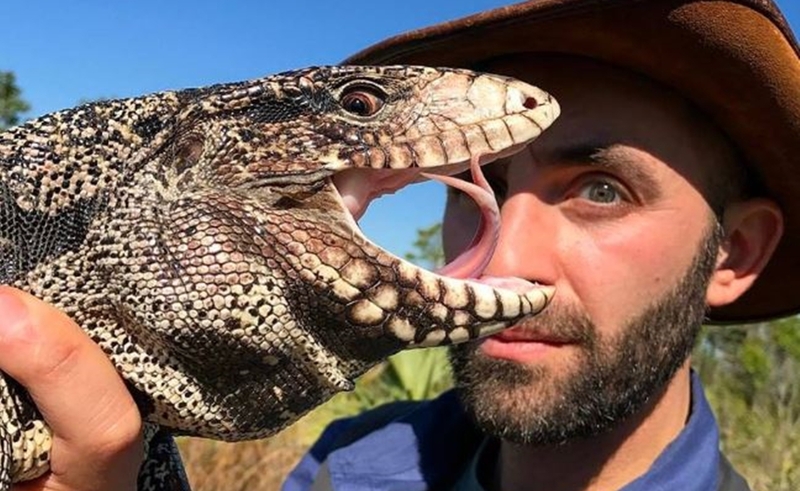 YouTube animal expert Nathaniel ‘Coyote’ Peterson, like several creators before him, is venturing onto linear TV via a just-announced partnership with Animal Planet. Peterson has amassed 13 million subscribers and 2.3 billion lifetime views on his Brave Wilderness channel, which sees him showcasing an impressive array of wildlife — and, in some of his most popular clips, getting purposefully stung by exotic insects. He says that while his channel isn’t going anywhere, Animal Planet will provide Peterson and his team with added resources and a bigger platform to explore more exotic species and broadcast their message of conservation. The ensuing show, dropping sometime next year, will take audiences on expeditions to see bizarre and iconic creature. Peterson’s Wilderness Productions will produce the venture, and Peterson will be joined on the show by his crew: director Mark Vins and biologist Mario Aldecoa. Discovery Communications-owned Animal Planet says it reaches more than 360 million homes in 200 countries. In addition to his foray onto TV, Peterson inked a digital content partnership with Universal Pictures earlier this year for a four-part digital series about dinosaurs that’s set to drop on his YouTube channel this Sunday titled Jurassic World Explorers. The sponsored show will also explore the science, technology, and roots of the storied Jurassic film franchise. Peterson has also written a second book titled King Of Sting — chronicling his journey of getting stung by painful animals — which drops on Nov. 27 and is currently available for pre-sale. Ohio-based Peterson has won an Emmy for his YouTube series Breaking Trail. And he released his first book last year — Brave Adventures: Wild Animals In A Wild World — which was published by Mango Media and accompanied by a national tour.